Elias Irvin had been drinking for several days. His nephew George came up to his fence and accused him of stoning his house and cursing his wife. Their words became more heated until finally, the two came to blows. Elias swung a rake at George. George threw whatever he could. Elias turned for the house; George threw something that hit Elias on the back. A witness said there was blood only on Elias’s cheek. But by 10:00 the next morning, he was dead. 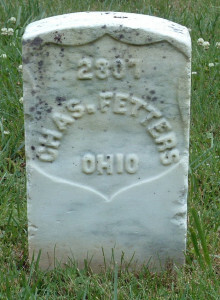 Elias was buried in the Zion cemetery in Clinton Township, Vinton County. Nobody thought to examine the body until after the burial. The body was dug up. There were cuts on his arms and blood had run from his left temple. Dr. D.V. Rannells examined the body and found no brain injury, though his lungs were congested. “I do not think the wounds alone could have caused the death of the party,” he told the jury. The only other witness who testified was Joseph Johnson, who saw the fight between George and Elias. George Irvin was a free man. 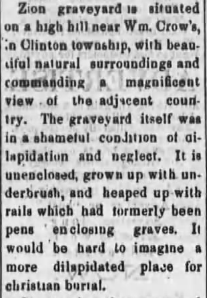 (McArthur, Ohio) Vinton Record, 9 July 1874, p. 3. Downloaded from Newspapers.com. 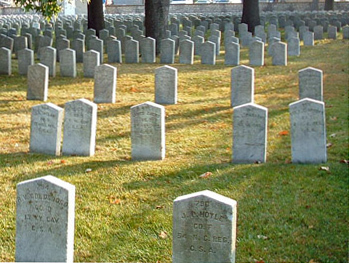 Zion graveyard is situated on a high hill hear Wm. Crow’s, in Clinton township, with beautiful surroundings and commanding a magnificent view of the adjacent country. The graveyard itself was in a shameful condition of dilapidation and neglect. It is unenclosed, grown up with underbrush, and heaped up with rails which had formerly been pens enclosing graves. It would be hard to imagine a more dilapidated place for christian burial. 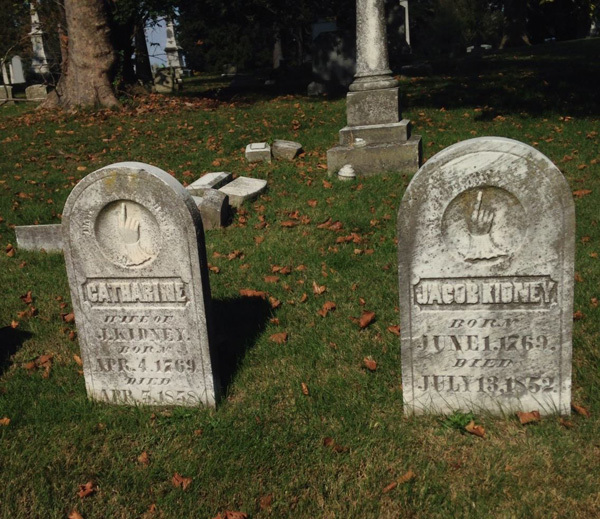 Part of the joy of genealogy is discovery. Sometimes that discovery doesn’t even have to be related to your family. Such was the case for me and seeking Sadie Gurevitz. It was in November 2010 that I found Sadie (or she found me; I’m still not sure which). 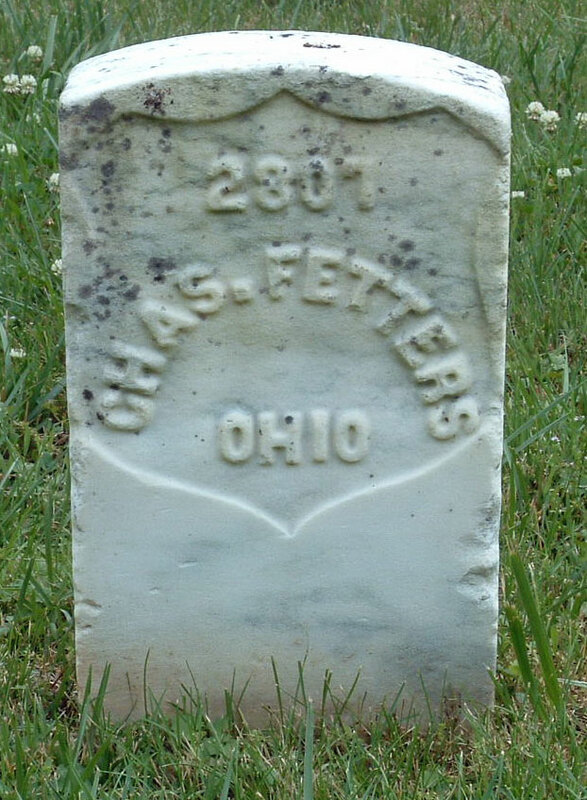 I was working on my final project for my Digital Collections class at Kent State and was taking pictures of photoceramics — those photos on ceramic tiles that you sometimes find on tombstones from the early 20th century. 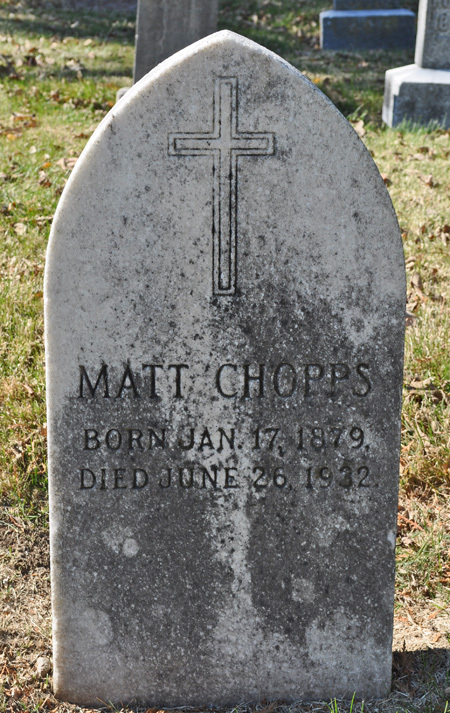 I had taken pictures of several in Agudas Achim Cemetery in Columbus and was almost done, when I saw her. 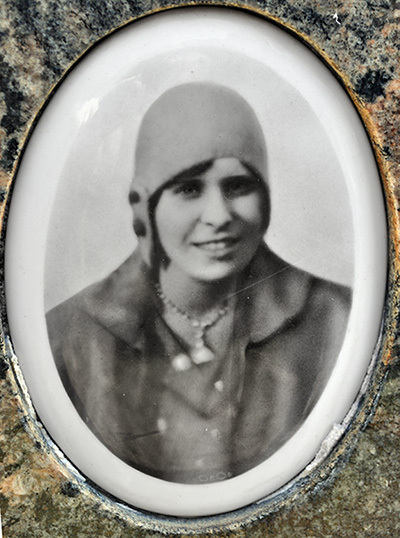 Sadie Gurevitz, photo on her tombstone at Agudas Achim Cemetery, Columbus, Ohio. Photo taken by Amy Johnson Crow, November 2010. It was the cloche hat that first drew me to her. This was a stylish, attractive young woman with an impish smile. What was her photo doing on a tombstone? Maybe her family wanted to remember her in her younger days, not wishing to think of her in advanced years. Sadly, this was not the case. 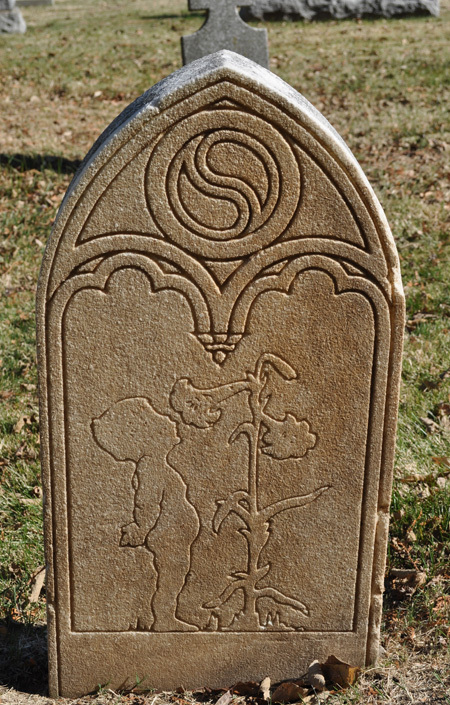 The tombstone revealed that Sadie Gurevitz — “Mother” — was born in 1902… and died in 1929. I had to find out more about Sadie. My first stop was to find her death certificate. As I suspected might be the case with such a young woman, she died from complications of childbirth. Her cause of death was listed as “Childbirth (placenta prev),” an abbreviation for placenta previa, a condition that can cause extreme bleeding before or during delivery. Her death certificate told me even more about her. Sadie was born in New York City, was a housewife, married to Max Gurevitz, and lived at 855 S. 18th Street. She was the daughter of Harry and Bessie (Miller) Freedman, both Russian immigrants. 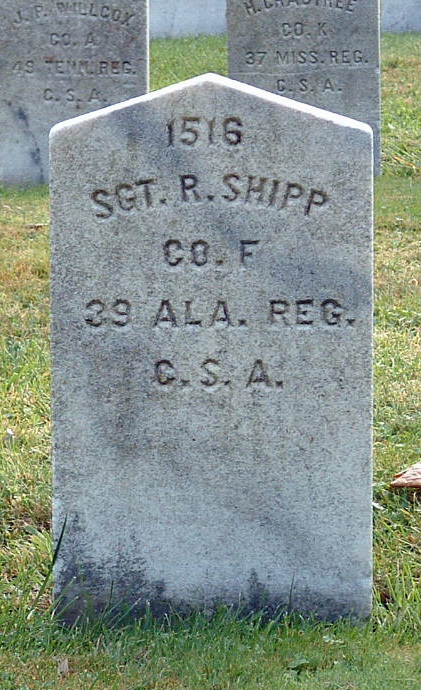 She died 18 November 1929 at St. Ann’s Hospital in Columbus. Sadie Gurevitz, “popular young Jewess,” died of “complications incident to childbirth.” Her baby boy also died. She was survived by her husband Max (“of the Superior Auto Wrecking Co.”), another son, her mother, and three brothers. Sadie Gurevitz. Daughter. Wife. Mother. Popular young woman. Gone too soon. 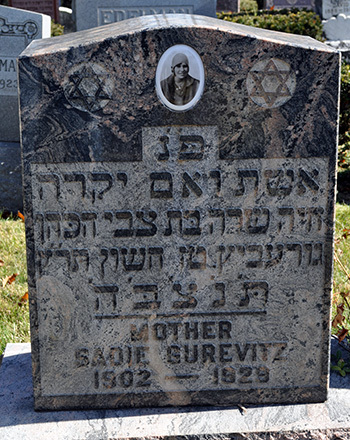 Sadie Gurevitz tombstone, Agudas Achim Cemetery, Columbus. Photo by Amy Johnson Crow, November 2010. Gurevitz, Sadie. Ohio Death Certificate 70276 (1929). Original held at the Ohio Historical Society. 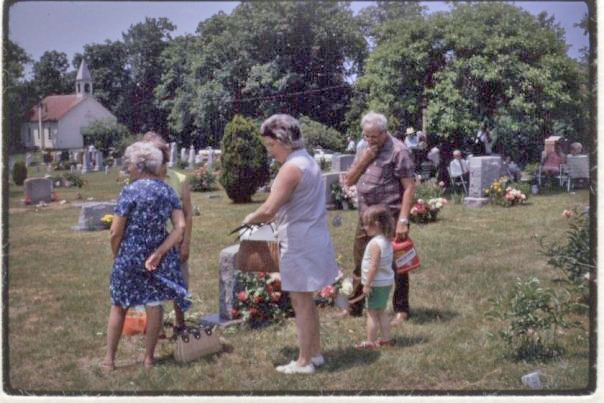 Digital image on FamilySearch.org. Gurevitz, Sadie obituary. Ohio Jewish Chronicle. 22 November 1929, p. 4. Digital image on OhioMemory.org. Lakin, Harry household. 1930 U.S. Census, Columbus, Franklin County, Ohio, ED 25-23, sheet 22B. Gurevitz, Norman birth record. Ohio Birth Records 1908-1987. Database on Archives.com. Mayo Clinic staff. Placenta previa definition. MayoClinic.com.